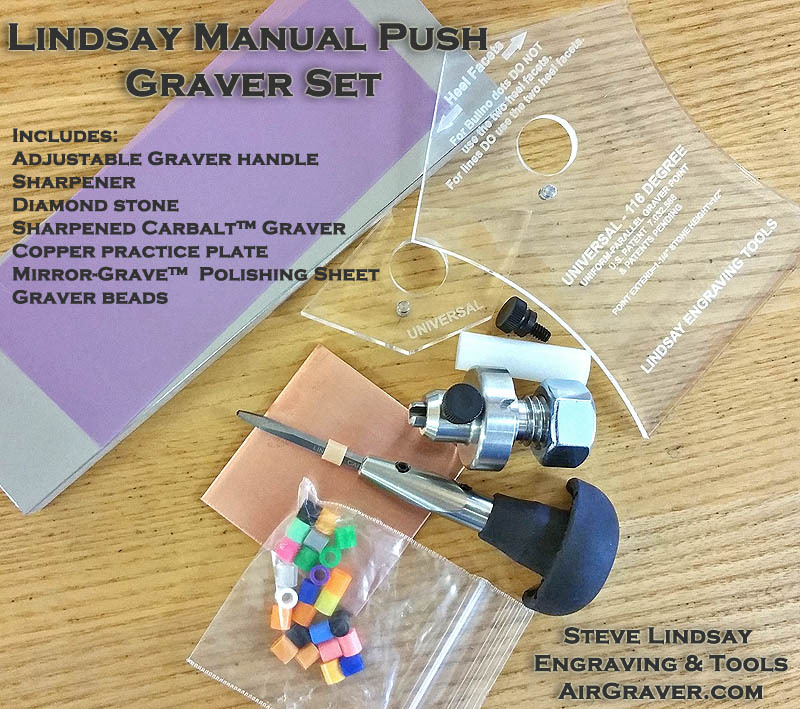 Today the site's manual push graver set was updated. 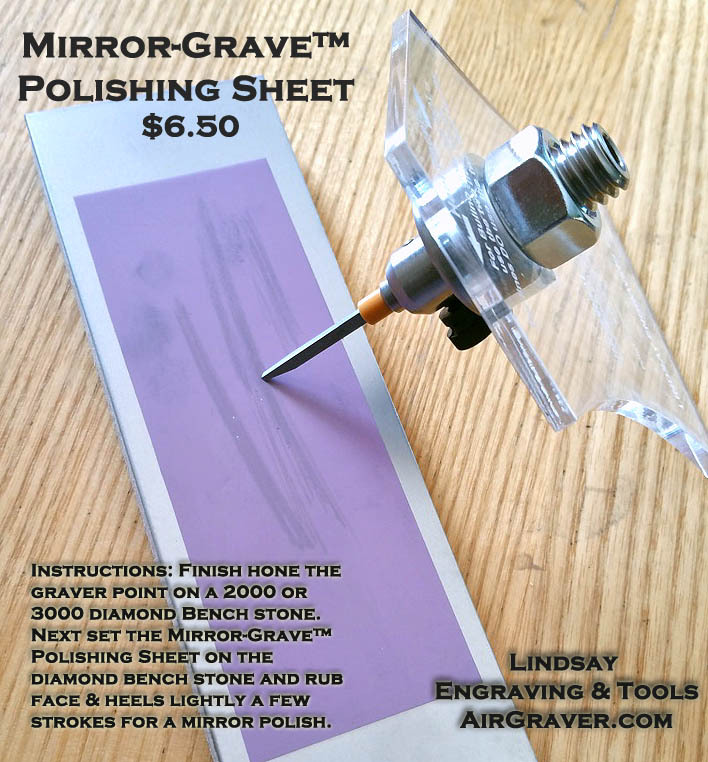 Instructions: Finish hone the graver point on a 2000 or 3000 diamond Bench stone. Next set the Mirror-Grave™ Polishing Sheet on the diamond bench stone and rub face & heels lightly a few strokes for a mirror polish. Will polish HSS, M42 or Carbalt™ gravers. Here is a video of the process of re-sharpening.